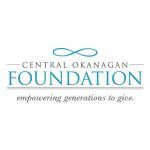 The Arts Council of the Central Okanagan and the Rotary Centre for the Arts are pleased invite the arts and culture community of the Central Okanagan to join them in welcoming the Alliance for the Arts to the Okanagan for two events Friday, April 22nd and Saturday, April 23rd. 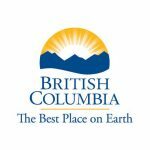 The Alliance for Arts + Culture is BC’s leading arts information aggregator and a resource to the arts, culture and heritage community. 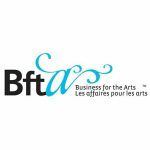 Since 1986 they have advocated for the arts sector by monitoring public policy, synthesizing issues for our members, providing support, services and professional development, and representing the interests of artists and cultural workers. Networking Event: Friday, April 22nd from 4 – 6pm Members of the arts and culture community in Kelowna and surrounding areas are invited to attend a networking event hosted by the Alliance for Arts + Culture in partnership with its member organization, the Rotary Centre for the Arts and the Arts Council of the Central Okanagan. 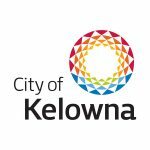 This is a great chance to catch up with colleagues, meet new people, and get to know the Alliance for Arts + Culture and what they offer for the arts in the Okanagan. The event is free, but an RSVP is required. Complimentary light appetizers will be served, with cash bar available. The next day, Saturday, April 23rd, the Alliance for Arts + Culture for will offer a Gaming grant workshop for arts organizations. Navigating Your 2016 Gaming Grant Application: Understanding What’s Needed will provide an understanding of the particular requirements of the Community Gaming Grants program, along with valuable grant writing basics applicable to all funding programs. 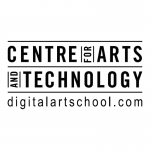 Participants are encouraged to bring their gaming grant applications in progress, or previously completed submissions, and will be given opportunities for one-on-one feedback following the workshop. The workshop takes place in the Pacific Safety Products Boardroom of the Rotary Centre on Saturday, April 23 from 9:30 a.m. to 12 p.m. The event is free, but an RSVP is required. 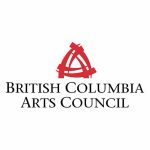 Led by Rob Gloor, who brings over 20 years of experience in non-profit arts management to his role as Executive Director of the Alliance for Arts + Culture, will give advice on preparing a successful application for BC’s Community Gaming Grants program and its 2016 Arts and Culture intake. The deadline for grant applications to this program is May 31st. Both events are FREE to attend, but RSVPs are required. Click here to RSVP to attend the April 23 workshop, Navigating Your 2016 Gaming Grant Application. Please complete a separate registration form for each attendee.